Finding the right ear buds will free you from incessant noises, unnecessary chatters and sounds around while you get immersed in the comfort the solitude has to offer. The best wireless earbuds are often misjudged because of their size, but only those who really know its worth understands that the capacity of a thing is usually not judged by its size. With one of the best earbuds under 50, you can be sure to enjoy your solitude better without being so conspicuous. To get the best wireless earbuds under $50 could be quite difficult especially if you are new in the search. For this, we have collected different products to make a list of 10 best earbuds under 50 you can choose from. These products have been reviewed to guide you through the features and specifications of each of them, thus making it easier for you to choose the best that falls within your budget. One of our rated best earbuds under 50 is the Hussar Magicbuds. 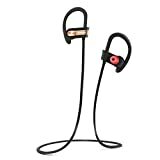 It is designed as an in-ear device and offers a comfortable and secure fit for various activities such as jogging, hiking, and so on. It holds fast behind the ears while the buds stay in the ear for as long as it is used. It is a 2017 upgraded version that boasts of a better-quality sound and volume, exactly what you wish for. Hussar earbuds has the capacity to reduce outside noise with the built-in CVC 6.0 technology. The ear device also runs wirelessly by syncing with other devices through its V4.1 Bluetooth technology within a range of 10m 33ft. This feature has ranked the Hussar Magicbuds a place among the best completely wireless earbuds. You can also make or receive calls with the earbuds conveniently. Hussar Bluetooth headset runs on a rechargeable Lithium-ion polymer battery and can deliver up to 9hours uninterrupted music time with a standby time of about 240hours. The low battery can be recharged under one and half hours, which is enough time to get you listening to your favorite track. The battery level can be monitored on a compatible device such as Iphone, ipad and others. 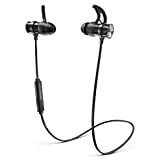 With its upgrade, Hussar now offers an IPX7 nano coating on the earbuds to protect it from sweat and other water forms. The wireless earbuds are durable if properly used and maintained. One of such maintenance tips is to use only the USB cable packed with it when you need to charge. Durable for a long term use. Fitted in-ear buds with comfortable over-ear clips. Easy to operate built-in controls. Wireless Bluetooth rang is awesome. Could be too loud for use in areas where your attention is required i.e. in traffic, at work etc. This headphone is by far the most suitable among our truly wireless earbuds review. In the acoustic section, its comfort and sound quality goes hand in hand without one affecting the other. The ear device is built with 8mm speakers to deliver this improved sound quality as you enjoy the bass given out with each beat. Users have testified to its extreme comfort as soon as the earbuds are inserted into the ears. These earbuds stays fitted into the ears for as long as you choose to wear them without slipping off, and they won’t hurt no matter how long you have them on. The wireless Bluetooth range is perfectly engineered to be one of the farthest you can enjoyed without a drop in sound quality even at a distance of 30-40ft. You can then imagine the solace you get from its noise cancelling feature. This is achieved with the bullet-shaped Comply foam tips that totally isolate you from surrounding noise. Isn’t it enough quality for you to get yours now? And if what you are after is durability, this is the best earbuds under 30 you can get to keep you company for as long as you want. 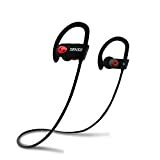 Phaiser BHS-730 earbuds is sweat-proofed to protect it from water damage especially from accumulated sweats during work out or when it drops into water. Its cord also allows you to wear it around your neck especially when not in use. This allows for easy access when next you need it and also ensures its safety. Its durability is further extended with a lifetime sweat-proof warranty with which you can get the earbuds replaced if damaged. Concerning battery life, Phaiser battery offers 8hours period of use and can be recharged within 2hours with a blue light indicating its full charge. The device should only be charged with its MicroUSB cable. Seamless pairing with devices within stated range. Has to be shoved into the ear for easy fit; this could be quite uncomfortable for many. As with other earbuds, the SENSO is rated among the best wireless earbuds under 50 because of its highly reliable sound that keeps on the go. You get to enjoy undiluted stereo sound with true HD quality and a rock solid bass that keeps you motivated throughout your workout sessions. This device is designed with a passive noise cancellation feature that keeps outside noise to the barest minimum. It is also compatible with all Bluetooth enabled device, while it can connect to two at a time. Its Bluetooth V4.1 allows you to connect wirelessly over a 30ft distance without break. And you need to know that you that SENSO headphone have got a long power usage that keeps it running for 8hours nonstop. As if that’s not enough, the rechargeable battery only takes about 60minutes to get charged. Other features we believe you can enjoy while using this device should be the comfortable fit, affordable price and Bluetooth compatibility with other phones. The device also features IPX7 sweat and water proof technology for a longer period of use. The pack consists of 2 charging cables and replacement ear tips that can be changed when necessary. These are definitely the best completely wireless earbuds you can get at such a reasonable price. Wireless connection up to 30ft. Extra feature included in pack. Not suitable for full force exercise. Enjoy a hindrance free cardio session with the TREBLAB XR500. The XR500 is an artistically engineered in-ear phone made to keep you entertained without stress. This device is loaded with many benefits that make it unique among other best completely wireless earbuds. Its water and sweat proof body keep you on the move with no worry about the heavy sweats dropping off you or raindrops should you get caught under. This is why it is a well suited headphone for sports irrespective of what the weather reads. Because it is wireless, you also get the freedom to move about without a constant consciousness of having the buds fall of the ears. This is due to the soft rubber ear hooks that keep the buds attached till you chose to remove them. Talk about a hassle free connectivity, you get to connect your headphone to other Bluetooth compatible devices within a space of time. The Bluetooth 4.1 CSR specification connects within a wireless signal range of 38ft. This is a long distance for you to decide to gym without your phone. The Treblab headphone also features passive noise cancellation which block outside noise while you enjoy the privacy of your sound. You are not limited to music alone but get to manage your calls with this device by making use of its built-in HD microphone. The X500 is also one of the best earbuds under 50 that boasts of a long battery life of up to 9hours and a full battery recharge time of 2hours. This assures you of a longer playtime while you switch from track to track. Great fit in the ear. Battery status light indicator should point down rather than straight up. Bluetooth signal gets interrupted easily with body movement. Position of control buttons could be better placed. When you need one of the best earbuds under 10, we say you try the Uiisii brand. Viewing this from the product’s sleek design, we believe you will be impressed at the quality and build so much that you doubt the price as anything less than 10 dollars. Personally, we expected something at such low price to come with a low sound quality which we believe users will take as their money’s worth. But there lies the amazement; Uiisii earbuds does not in any forfeit its quality for the price which is contrary to the usual lower price, lower quality mindset. The rich sound from this headphone is further enhanced by its deep bass for a better music experience. The device fits comfortably in the ear in a stylish way while it does much to reduce background noise to an acceptable level. This can make you wear it for as long as you can without any feel of discomfort. In addition to this, the headphone is not restricted to music, but you get a HD quality sound while watching your favorite movies and even when you have to urgently make or receive a call without having to disconnect it. This feature is further enjoyed with a built-in microphone and controls that are compatible with the calls without interfering with other functions. That is, a click to start/stop music and take/end calls and a double click to skip to the next song. With these controls, you also get to change the music settings without having to use your phone. If you would like a headphone that reduces the need to operate your phone every now and then, then Uiisii headphones is the best bet. Rich bass sound gives an improved sound quality. Easy to use controls for calls and music settings. Sleek and durable product design. Sold in a well protected packaging. No stress, no tangle cords. No volume control button on the headphone. When you desire something different from the usual without a drop in sound and other features, we suggest you go for the Leophile Eel. 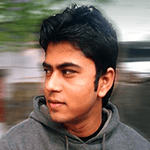 One amazing feature you get attracted to is its neckband. You know how it’s like to have your glasses held in place by a neck rope? Well it is a similar feeling you get when you know that your earphone is safely held around your neck. This guarantees the safety and ease of use of the device without the fear of misplacing it. The neckband has a silicone coating on it to prevent skin itch, rash or reaction due to the mix of sweat and product material. The Silicone designed headphone is IP67 water and sweat proofed. In other words, you can enjoy your daily workout sessions and even take part in other land and water sporting activities because you have your earphone well protected. The battery life gives an extended use of over 10-hours, which is a long time to keep you motivated in the gym and even as you sport. When the battery is low, you only need to wait 2 hours to get it back to full charge, while it stays up to 300hours on standby before you need to recharge. Not only that, EEL wireless headphone is one of the best wireless earbuds under 50 that provides portability option. This is because you can get to fold this device into different bendable shapes you want for easy fit into your purse or pocket without being bulky. Leophile designed this headphone with many things in mind, such as flexibility and adjustability to give users the chance to change it according to their fit and preference. 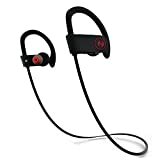 As one of the best completely wireless earbuds, Eel Bluetooth headphone operates wirelessly within a signal range of 33ft while its version 4.1 Bluetooth tech makes it compatible with other Bluetooth devices or gadgets. Pairing only takes a few seconds you get lost in music. 10hours battery life while in use. Flexible and soft silicone coated neckband. Can be easily adjusted to user’s fit. Suitable for all kind of workouts and sporting activities. Wireless Bluetooth connection range of 33ft. High quality built-in mic for calls. The earbuds could get tangled up or stuck while dangling. The location of the controls can be better than it is. Bluetooth signal may be weak to pass through water. Jabra has unveiled a real compact device which is one of the best completely wireless earbuds in our review. The shock protected device is designed especially for extreme workout sessions in which you won’t have the time to adjust or untangle wires and all. It is very small and stays fit and hooked in the ear even as you enjoy the rich bass sound coming from it. What’s more is that it has a FM radio feature built into it, so you get to chose between listening to music and staying updated with news across the country. The device is also equipped with a built-in mic that supports hands-free calls during workout. The stereo headset also features a military standard dust, rain and sweat resistant guarantee for you to get involved in different sports and games without limits. When you place your Bluetooth compatible devices within a 30ft range around the house or gym, you can enjoy a seamless wireless connection without any signal interruption or drop in sound quality; though it is advised to keep your device closer around the waist band area for a better signal response. The headset is held securely behind the ear with its adjustable ear hook, so you won’t have to repeatedly replace it as it comes off. About power, Jabra sport stereo headset provides up to 4.5 hours talk time and 3 hours of non-stop music time to keep you going. Additional parts included in the pack are three pairs of comfort ear gels for fit and replacement and a wall charger to keep the headset charged. Control buttons are easily located on the right earbud for convenience. Easily connects to two devices at a time. Ear plugs could be too big and uncomfortable in the ear. The Rovking headphone is a lightweight ear device with wire to connect through your phone port. As one of our best wireless earbuds under 50 we have reviewed, it has met certain criteria for recommendation. The wired headphone has a snug over the ear design to keep it in your ears throughout your cardio session. This ensures a perfect fit in the ears especially during tedious exercises like running or jogging. The lightweight headset can be worn over a long period of time without any discomfort. As small as they seem, these have a noise isolating feature that keeps you focused in your own world without much distractions from outside. 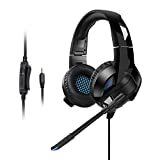 The sound quality of this headset is further increased by the high audio quality transmitted from the cable wires. Just like most headphones, Rovking wired headset has a call enabling feature to switch between tracks, make calls, answer or end calls. This control button is built-in together with the mic on the cable. The cable is made of thick and durable materials which protects the filaments within from getting damaged during work out. Most importantly, Rovking offers a money-back guarantee and quality warranty on their wired product only. This offer is only for customers who make their purchase from DEFWAY. The headphone has a sweat proof protection with durable ear pods for sports. Over the ear cable gives the headset a snug fit. Wires may get in the way. Tritina headphone is basically a sport gadget that keeps you in tune with music as you stay in shape. 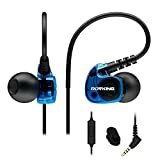 It is one of the best earbuds under 30 in our review that offers several user friendly features. Such features include its wireless Bluetooth V4.1 technology that keeps it connected to other devices just around a 30ft range; the body has a Nano Tech weather/sweat resistant coating that keeps you on the track for as long as you want and durable battery span of 7-9hours and a recharge time of 2hours maximum. Tritina headset also has ear hooks that to keep the buds in place during a rigorous training or body movement. With its noise cancelling effect, you get to enjoy a crisp and clear sound quality without external interference. Tritina headphone is one of the best completely wireless earbuds that offers convenient multi-button controls and a battery status light indicator to keep you aware of when you need to recharge. You also have a year warranty on the product. Battery span can be further extended. Earbud tip could be quite uncomfortable if used for a long period. Kids don’t have to struggle with bulky and loose headphones when you can get specially designed kids set. One of our best wireless earbuds under 50 is the Cozyphones Kids headphones. Built into an extremely comfortable design, the removable headphone is fixed into a fabric headband to keep it fit and in place throughout the period of use. Unlike the adult headphones, Cozyphones kids’ headphones have a controlled volume level not more than 90decibels for protection. This device is made to protect a child’s ear from the usual sticking earbud which is replaced by a 1/8’’speakers and a removable braided cord. 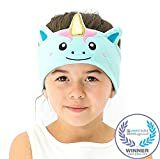 The headband can be easily adjusted to fit the child’s head, and washable. The headband is also said to serve as a sleeping mask for kids at night and very ideal for trips and vacations. This is by far one of the best products you can gift your child as it is made available in different collections, colors and design. Available in wide range of colors and patterns. Wired and could get in the child’s way. The electronic part easily shift around. 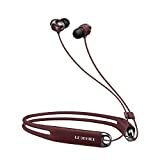 While over-ear headphones are great, wireless in- ear buds are even better and have created an improved avenue for numerous users to conveniently move around without having to bear much weight on the head or getting obstructed by wires and cables. In-ear buds are also reasonably priced while users get to enjoy a hands/phone free work out sessions and personal time alone. With the different wireless earbuds available, we hope you can finally select the best wireless earbuds under 50, while we have also taken time to include the best wireless earbuds under 30 and the best wireless earbuds under 10. Enjoy shopping for the best.